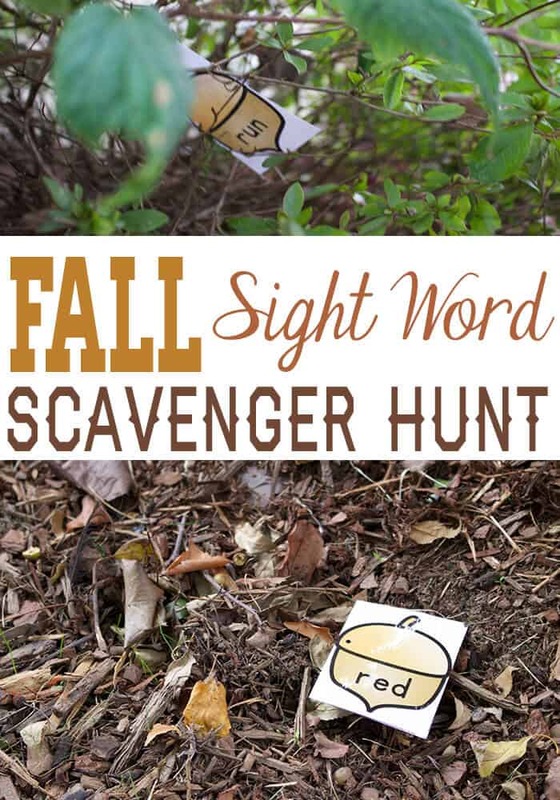 I have loved all the reading scavenger hunts that I have seen all over Pinterest. 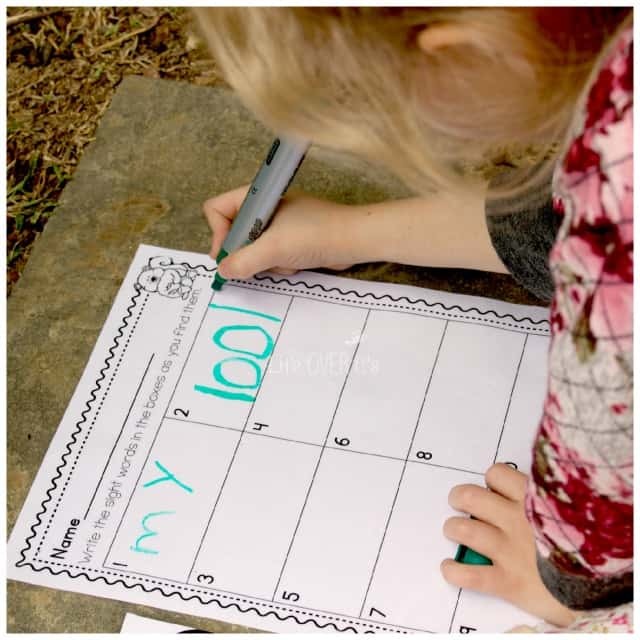 Whether it be for specific words, letters of the alphabet, or sight words, getting kids up and moving while still learning something is a fantastic use of their energy! Regular classrooms could do a scavenger hunt as a read the room activity, homeschoolers could get a bit of fresh air. I’ve been planning to do one with Jaida for a while and her obsession with squirrels provided the perfect amount of interest to get her excited to do a little bit of reading. This sight word scavenger hunt was very well received! As part of the prep for this activity, I got my 10 year old involved. She was very excited to be able to “hide” the words for Jaida. I did have to remind her not to put them too high up in the tree though (hehe! ), since Jaida would need to actually be able to write the words after she found them. I included all of the pre-primer Dolch sight words in the activity, but we didn’t use them all at one time. We picked out ten which seemed to be the perfect number for her attention span. With each word that she found, she wrote it out on the laminated recording sheet. I had laminated it because I knew that we would want to repeat the activity a few more times and didn’t want to print a bunch of copies just to throw them away. You could also slip the paper into a page protector and get the same reusable result. The activity was apparently so fun that my 3 year old wanted in on the action. 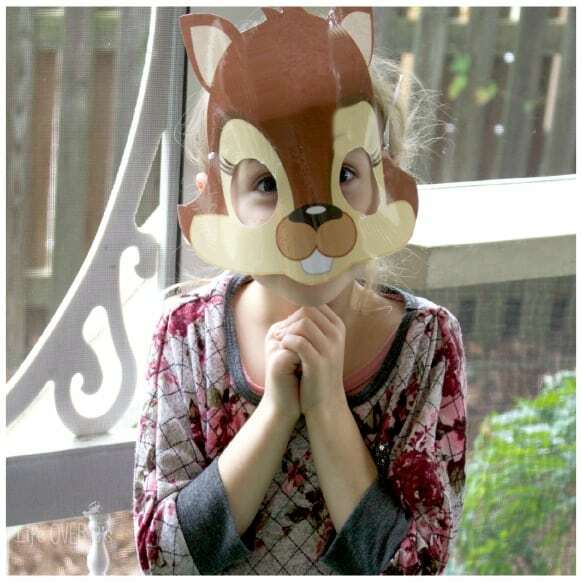 Jaida had gotten tired of the squirrel mask, so the second she took it off Shiloh was waiting right beside her to take it. Not only did Jaida have the opportunity to practice her sight word skills, which have been greatly improving over the last few weeks, she also got some fresh air, exercise, and sensory input. She especially loved reaching up into the tree and reaching into the bushes. We’ll definitely be doing this a few more times before the weather gets too cold. 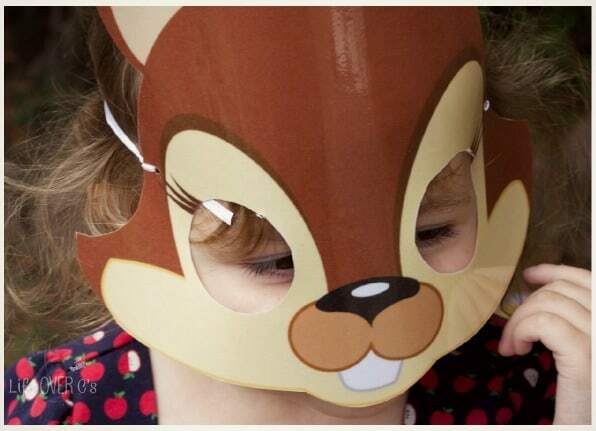 This is such a fun idea – and the squirrel mask is an excellent touch to top it off!